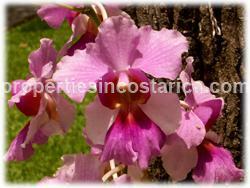 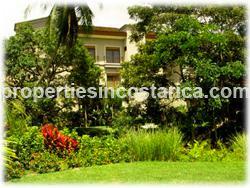 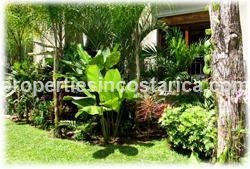 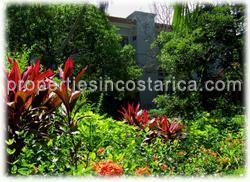 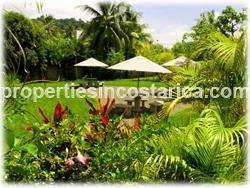 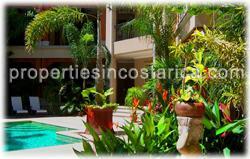 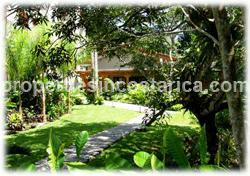 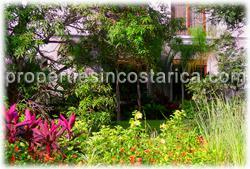 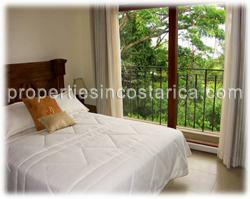 2 bedroom condos surrounded by lush tropical gardens. 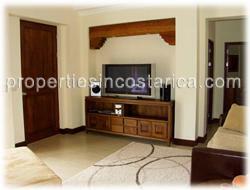 Luxury furnishings throughout the condo. 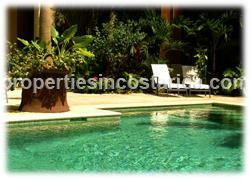 Swimming pool on the property and a short distance to the beach. 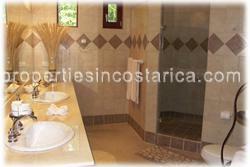 On site 'Concierge Service'. 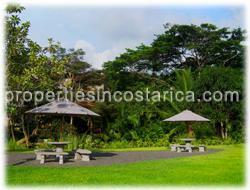 Luxury furnishing enhance the tropical lush setting. 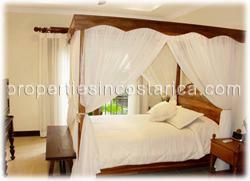 Canopy bed in the master bedroom enhances the romantic and exotic atmosphere. 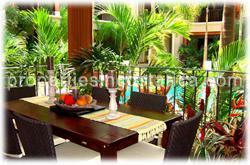 Dine on the terrace while enjoying the garden and pool views. 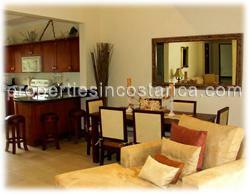 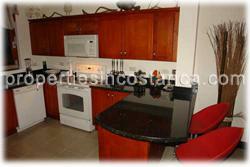 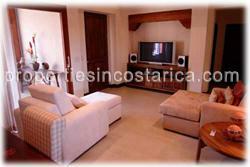 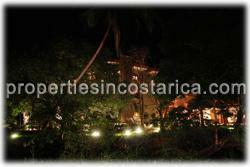 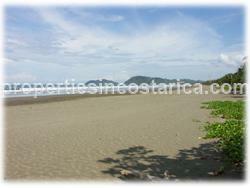 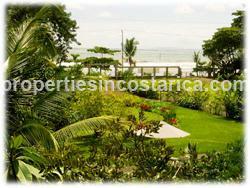 Close proximity to the beach and the shopping and resaurants of Jaco. 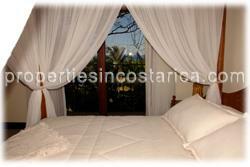 Each bedroom has air conditioning and ceiling fan. 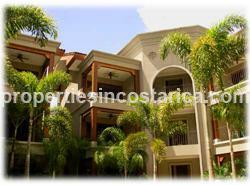 Maximum guests is 6 people.